Home You n Health Breaking News: The First Person diagnosed with Ebola in the United States Is Dead! Thomas Eric Duncan left Africa for the United States, by official accounts, a healthy man. 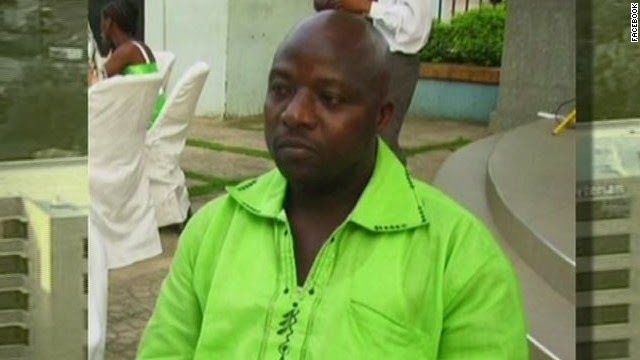 Just over two weeks later, has passed away in a Dallas, Texas, hospital with Ebola. Duncan was admitted into isolation at Texas Health Presbyterian Hospital on September 28 with common symptoms of Ebola: fever, vomiting and diarrhea. He later tested positive for the virus that has killed more than 3,400 people in West Africa. He was started on the experimental drug brincidofovir on October 4 -- far too long after he arrived at the hospital, his family has said. On Tuesday, the hospital reported that Duncan was on a ventilator and his kidneys were failing. Duncan died on Wednesday at 7:51 a.m.
"Mr. Duncan succumbed to an insidious disease, Ebola. He fought courageously in this battle," the hospital said in a statement Wednesday. "Our professionals, the doctors and nurses in the unit, as well as the entire Texas Health Presbyterian Hospital Dallas community, are also grieving his passing." Soooo sad:( May God comfort his family... RIP Duncan!